The Church of Scotland follows the Revised Common Lectionary which assigns particular readings to each Sunday in the Christian calendar. 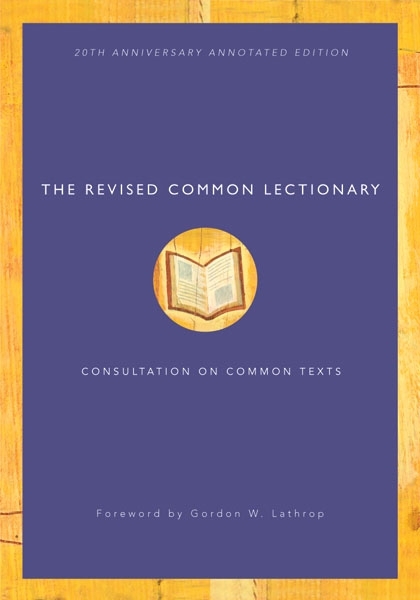 The Revised Common Lectionary consists of a table of readings which gives the liturgical day or date and the Scripture references for the texts to be read. John is read each year, especially around Christmas, Lent and Easter, and also in the year of Mark, whose Gospel is shorter than the others. The sequence of Gospel readings is meant to lead God’s people to a deeper knowledge of Christ and a stronger faith in Him. Along with the Gospel, there is a rich provision of Old Testament material, chosen to illuminate the Gospel and to include important narratives of faith. Acts and the Epistles highlight not only apostolic authority, but Christian experience of and reflection on the grace of God in Christ. Much of the material is offered in semi-continuous form, which allows a larger variety of passages of the Bible to be read. This return to a greater selection of readings of the Bible is not only a means of combating the decline of biblical literacy, among adults as much as among young Christians, but is a recovery of a liturgical way to lead the followers of Christ through his birth, baptism, ministry, death, and resurrection. The heading of the lectionary shows the appropriate cycle, A, B, or C for each Advent-to-Advent year. The lectionary provides readings for more Sundays than there are in any one calendar year, and not every set of readings will be used in any one year. This is because the dates of Easter move, and the calendar of the Christian Year moves along with it. Only Christmas (25 December) and Epiphany (6 January) are fixed dates. Read more about moveable dates in the Christian calendar. Wherever possible, particular dates, between which the readings may occur, have been given in the lectionary. The dates are inclusive. When Easter falls as early as March 22, the readings for the Sunday following Trinity Sunday are those given for the eighth Sunday after Epiphany.